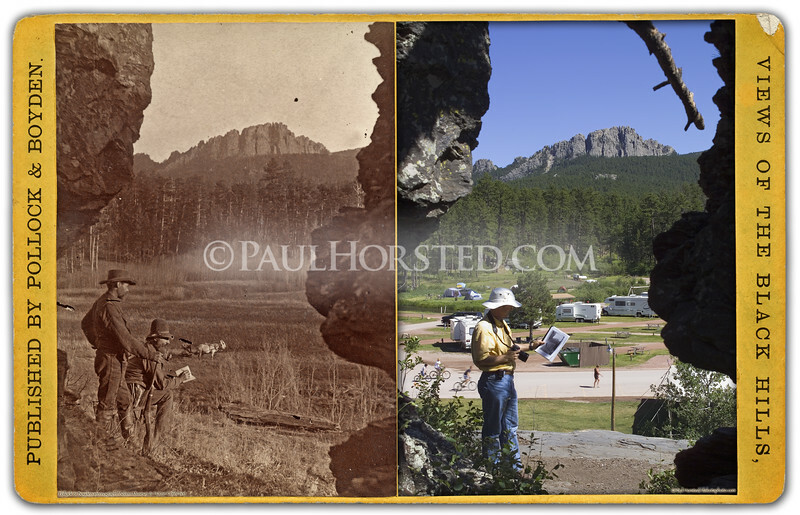 Pollock & Boyden view (circa 1880) of Elkhorn Mountain, near Harney Peak, from Palmer Gulch. This is west of Mt. Rushmore a few miles. Historic image courtesy Adams Museum & House. ©Paul Horsted, All Rights Reserved.